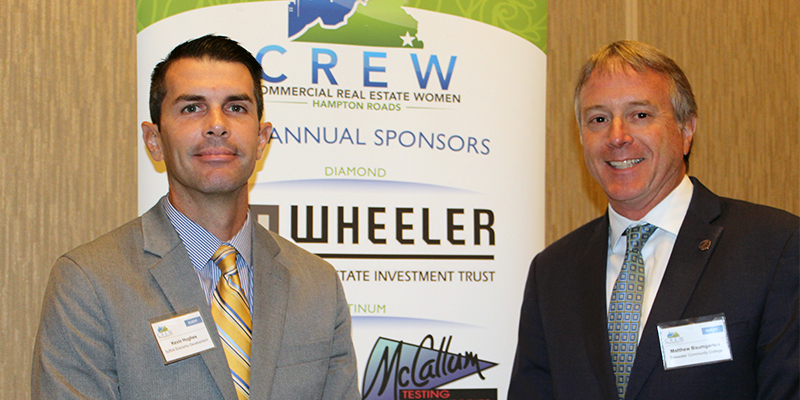 Tidewater Community College’s Real Estate Foundation will develop what’s been deemed “the last and best large property available in Hampton Roads” into a dynamic mixed-use site. It is reminiscent of Virginia Beach’s Town Center and Norfolk’s East Beach community, which will combine businesses, residential and green spaces. The 300-acre property in northern Suffolk, known as College Point, offers stunning water views, convenient freeway access and proximity to existing utility and communications infrastructure. TCC’s College Point is a 300-acre property in Northern Suffolk, offering stunning water views, convenient freeway access and close proximity to existing utility and communications infrastructure. 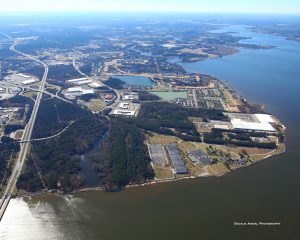 West of Interstate 664 and south of the James River, the land, gifted to the college by the Beazley Foundation in 1968, was the original site of TCC’s Portsmouth Campus. The property is currently home to TCC’s Center for Workforce Solutions, a truck driving training facility and four facilities maintenance buildings, all of which will be relocated. The Real Estate Foundation intends to transfer ownership of 1.3 miles of shoreline of the James and Nansemond rivers to the City of Suffolk to create a gathering place for residents and a community park for all to enjoy. Suffolk has recently issued a Request-For-Proposal for study and design of the waterfront feature. 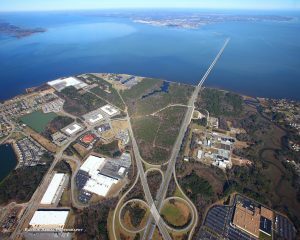 “Because of the proximity to many locations from Williamsburg to Town Center, this is a great strategic location,” said Kevin Hughes, director of economic development for the City of Suffolk. Development in and around Suffolk’s Harbour View area is thriving. In addition to the recent opening of Hampton Roads Crossing, which includes retail shopping and numerous dining options, new apartments and single-family homes continue to be built along with health-care facilities. The Real Estate Foundation will be the master planner of the property. All proceeds from this asset will be used to further the foundation’s mission of support to TCC’s academic programs and ongoing operations. Developers may purchase or lease portions from the foundation for uses that are consistent with the plans laid out by the foundation. For more information about College Point, visit https://realestate.tcc.edu/.